September is the month where we bring awareness of the varying physical pains, from debilitating to chronic, people experience. This Pain Awareness Month we focus on how we can treat and manage different levels of pain with medical marijuana. The American Chronic Pain Association first established September as Pain Awareness Month in 2001. The Association began the cause to bring awareness and involvement to help those suffering at different levels of discomfort, to help educate and provide resources. You can support the community or loved ones who suffer from varying amounts of pain in a myriad of ways, including educating them and yourself on what and how to treat pain. 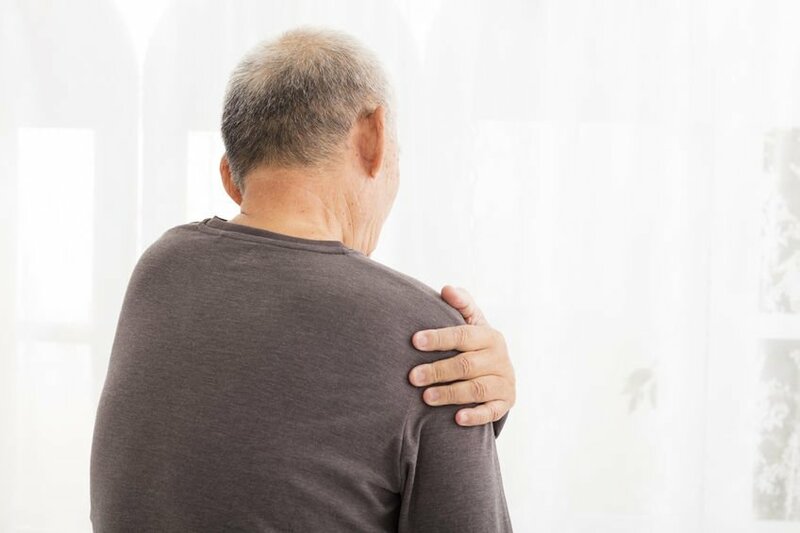 Chronic pain is not defined as an injury or condition but rather a frequent and intolerable symptom occurring at different levels of severity and times. As a Nevada qualified condition, chronic pain responds well to the analgesic similarities in cannabis. While not the only form of pain, the chronic kind categorizes as a qualified condition due to its lasting effects on patients, which often may be crippling and unresponsive to prescribed medication, therefore requiring an alternative solution like medical marijuana. Arthritis – This “nociceptive” discomfort arises in the joints, causing inflammation and stiffness. Fibromyalgia – This “central pain” often described as body-wide tenderness and pain. Menstruation – Symptoms from a woman’s monthly cycle usually result in severe discomfort especially in the abdominal area. Migraines – Severe pressure headaches that can originate in the neck or different points on the head. Mild to moderate aches and pains – A general term for pains an athlete or someone who experiences physical ailments due to exercise, work, or age. Neuropathic pain deals with diseases like MS and HIV/AIDs. Whatever your pain, however, you might find a marijuana remedy right for you. As research continues to discover, marijuana oils and CBD capsules have shown to provide pain relief to many different patients with various afflictions. But how does cannabis work as pain treatment? Pain starts in the brain, or rather, the cells located in the brain. The good news is these cell centers not only control the sensation of pain but also the strength of the sensation itself. Marijuana, simply put, distracts your brain and activates CB1 receptors with THC while CBD “dampens” the signals through its inhibitory effect. Additionally, cannabis targets inflamed receptor cells with its anti-inflammatory components, allowing you to focus on the mood-enhancement of the plant. In summary, marijuana has many relief benefits but may not be a long-term solution to directly addressing pain. Yet, cannabis has shown to have significantly fewer side effects, addictive qualities, and unwanted ramifications than other treatments. Speak with your physician about what your options are, and remember that switching from pharmaceuticals to cannabis may have its own side effects as the elements are different in each. Bio Jesus – Bio Jesus is well known for its high numbing potency and pain relief application. Deadhead OG – A favorite strain for anyone seeking an increase in focus coupled with pain relief. Blue Dream – The renowned hybrid balances body relaxation with subtle cerebral invigoration. Original Glue – This award-winning, sativa dominant strain sedates users and leaves them “glued” to their couch. Harlequin – High in CBD, Harlequin may help alleviate aches associated with joint pain and stiffness as well as body-wide people suffer from fibromyalgia. If you’re looking for something more discreet to intake to help manage your chronic pain, try one of these other consumption methods. Capsules – With virtually no scent, capsules are non-descript gelatin-encased pills. Tinctures – Fast acting and discreet, tinctures provide the same benefits as other cannabis products but through a sublingual application, starting with a 1 mL drop of tincture under the tongue. Topicals – Topicals come in the form of cannabis-infused lotions, balms, salves, and oils. Many kinds of flowers and concentrates may be able to assist in remedying pain so be sure to ask your local dispensary.